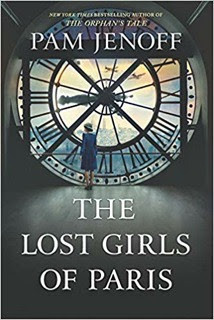 As part of the TLC Tour, my review today is for The Lost Girls of Paris by Pam Jenoff, you can read an excerpt here. Based on the real-life female agents sent into Occupied France to assist the underground network in the sabotage of German supply lines, this is a complex work of fiction that follows the incredible stories of three women; the mysterious London based Eleanor Trigg, SOE agent Marie, and Grace, who stumbles upon a snippet of their lives and is determined to uncover the truth. These three women, while all very different, were all strong characters who had faced loss and sadness in their pasts, that served to give them the grit and determination to rise up to the challenges the war presented. Fighting for the right to be heard in an all-male environment, the fear of being sent into the unknown, the comradery between the agents and the dreadful situations they found themselves in, plus the grief at their losses, all came through in the detailed descriptions in this book. With the three storylines running simultaneously, there is always something left hanging as we switch back and forth from New York to London to Occupied France, and while this can cause confusion, I found it added to the suspense and kept my interest as the book unfolded. In places, I struggled with the plausibility of the plot and one too many convenient coincidences, but as the author reminded me at the end of the novel, it is a work of fiction and I did enjoy discovering the final piece of the jigsaw at the end. 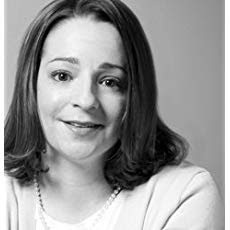 This book will appeal to those who enjoy historical novels set during The Occupation, where the female characters show their many strengths in face of adversity. This sounds like such a great book! Thank you for being a part of the tour. Lazy Sunday in France, to work, or not to work?